At Deutsche Bank, your ideas have impact. That’s why we’re looking for innovative, strategic thinkers who are ready to make a difference from day one. 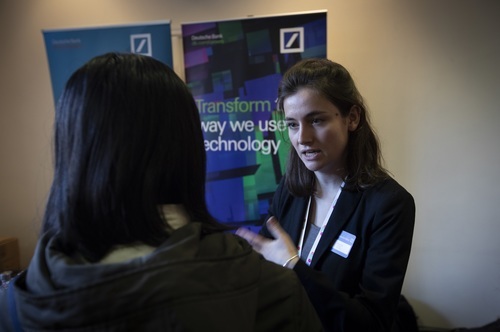 As Germany’s leading bank, with a strong position in Europe and a significant presence in the Americas and Asia Pacific, we have the resources to help you drive change for your career, our clients and the industry. Whether you join us in investment banking, technology or in another of our many areas, we’ll give you everything you need to succeed in an international environment. Our structured training programme will support your continuous development and you'll work on live, global projects alongside senior managers. With original ideas and the encouragement of your colleagues, you’ll have the opportunity to shape your own career and our evolving business.